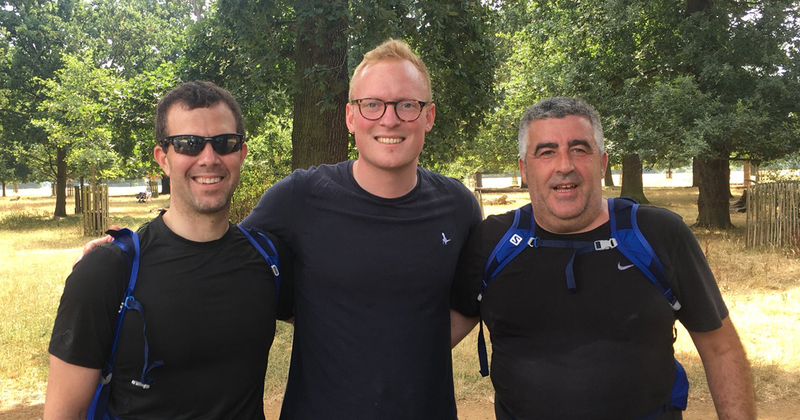 A team of London-based friends take on a gruelling Exmoor race later this month to help ex-service men and women of the military and emergency services. Soldier 30:30 sees team racing 30 miles or 30 km carrying a 30lb pack to raise money for FirstLight Trust. The charity runs support hubs across the country to help veterans struggling with issues such as debt, homelessness, loneliness and red tape. Their team name Stand218 comes from “stand-to”, a formation carried out at first and last light. This defensive all-round group stance allows soldiers to be ready for battle with mutually supporting arcs of fire. So far the team have mainly been training individually. They have however covered 22km together in Richmond Park complete with “a very civilized coffee stop” and 47km in Exmoor. The next step is training to run at speed and carrying the weight of 27 basketballs while doing so.